Massey Energy announced this evening that it lost nearly $89 million in the last three months, largely because of costs associated with the deaths of 29 miners at the company’s Upper Big Branch in the worst U.S. coal-mining disaster in 40 years. The Richmond, Va.-based coal giant’s 2nd quarter financial release is posted here, and the company will be having its quarterly call with industry stock analysts tomorrow at 10 a.m. You can listen in on the Web at this address. Financial results for the second quarter 2010 will include a charge related to the tragic accident at the Upper Big Branch mine. 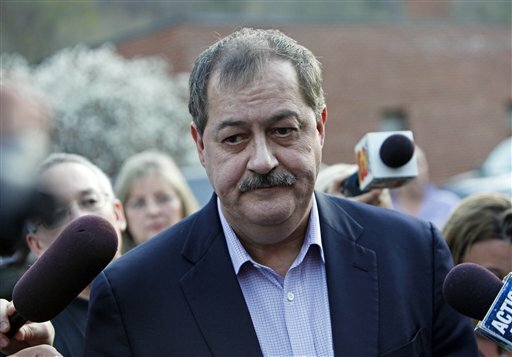 While Massey anticipates further analysis will be required, the Company estimates the range of loss to be $80 million to $150 million for charges related to the benefits being provided to the families of the fallen miners, costs associated with the rescue and recovery efforts, insurance deductibles, possible legal and other contingencies. In addition, the full book value of equipment, mine and longwall panel development and mineral rights at the mine potentially impacted by the disaster is approximately $62 million. Massey will assess these assets for possible impairment once full access to the mine is restored but it does expect to recover much of the equipment. The second quarter and first half 2010 results include pretax charges of $128.9 million in incurred costs, asset impairments and accrued reserves associated with the tragic accident at the Upper Big Branch mine (UBB) that occurred in April 2010. These charges include estimates for loss of equipment, investigation costs, workers compensation and other compensation and benefits provided to the families of the UBB miners, charges expected to be incurred for litigation, net of insurance proceeds and other related costs. This was clearly a difficult quarter for everyone associated with Massey. The tragedy at Upper Big Branch and the ensuing, contentious investigation overshadowed our day to day operations and largely occupied the time and attention of management and many of our members. We continue to grieve the injury and loss of our miners. Our efforts to provide for the needs of the families of the injured or lost miners continue as well. We remain intensely focused on the safety of all our mines and members even as the investigation to determine the cause of the explosion at UBB continues. We are also continuing our efforts to mitigate the lost production from UBB in order to serve our customers as best we can. These efforts have been disruptive to operations as we move crews and equipment to different locations but they should allow us to improve and stabilize production in the coming quarters. Investigative teams from Massey, the State of West Virginia Office of Miners’ Health, Safety and Training, MSHA and a team appointed by West Virginia Governor Manchin are continuing their work to determine the cause of the explosion in the Upper Big Branch mine. The timetable for concluding the investigation remains uncertain. The leader of the team appointed by Governor Manchin has stated that he does not expect to provide a final report before the end of the year. Based on preliminary surveys conducted during the investigative process, it appears there was a significant amount of damage to the longwall equipment, the mine infrastructure and the longwall development sections. However, two continuous miner sections at the mine, which are located about two miles from the longwall, appear to have been largely unaffected by the explosion. A possible date for re-opening the mine is unknown but is not expected during 2010. Massey is considering alternative plans for accessing the coal reserves that had been mined by Upper Big Branch. One alternative being considered is the development of a new mine entry in the same reserve block. Massey may also seek authorization to recommence operations in the continuous miner sections that appear to be unaffected by the explosion as investigatory work in that area is concluded. Massey stock fell another 65 cents in after-hours trading after declining $2.08, to $29.65, in 4 p.m. trading on the New York Stock Exchange. It is 45% below its price on the day of the accident. If you think that safety is expensive try an “accident” instead! I would point out that the UMWA, as a designated Miners’ Representative, has a team at the mine, participating in the underground investigation. Massey’s release left that out. A bit of a dent in the financials. Is it big enough to make Massey management rethink their penny pinching approach to mine safety? I predict that once the furor has died down, given a couple of years, the same safety bypasses will be part of the normal way mine managers and officials operate – when they think they can get away with it. The gun is still loaded, soon they’ll start spinning the barrell again….